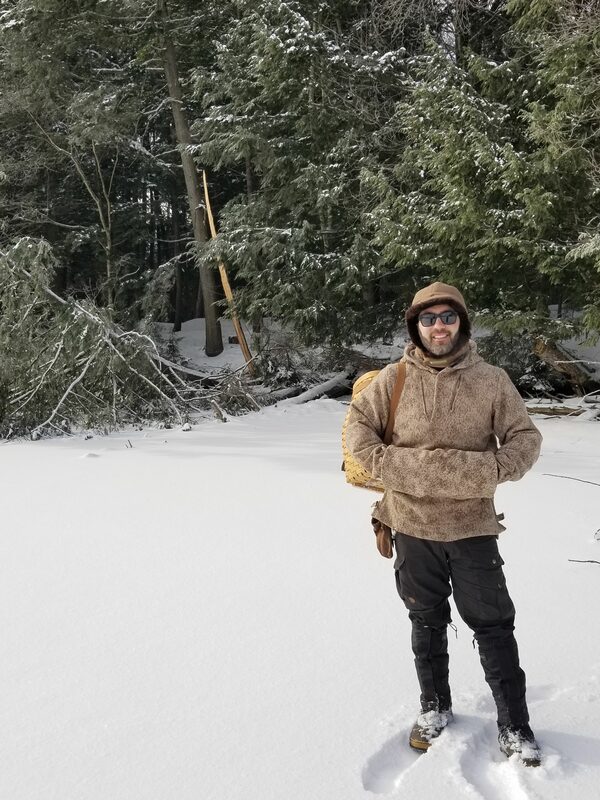 Lucky me won the Get Out In It Challenge and I received an amazing WeatherWool Anorak and Satterfield knife in a premium Stitched Gear sheath. 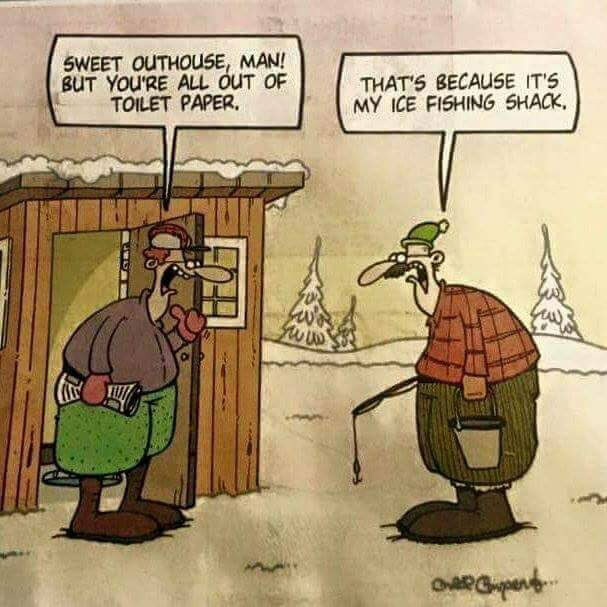 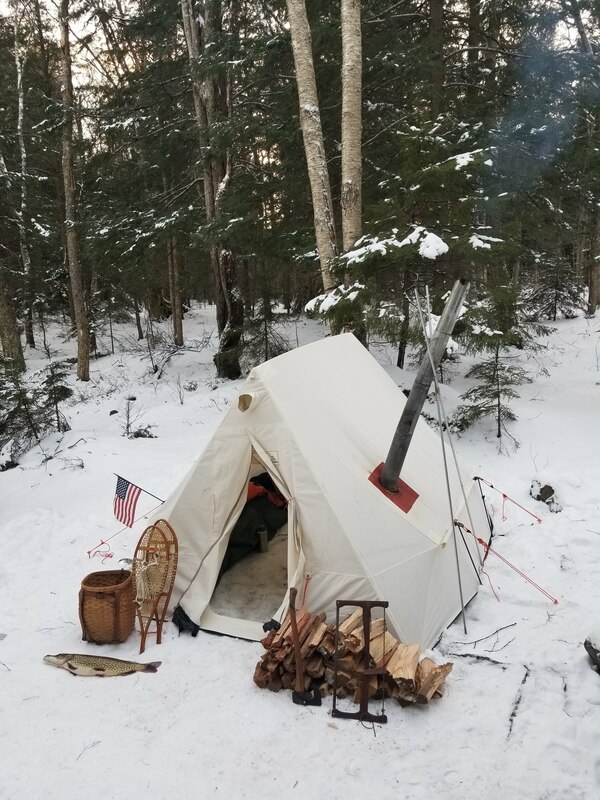 So off I went to winter camp and ice fish in the Adirondacks to play with my new toys. 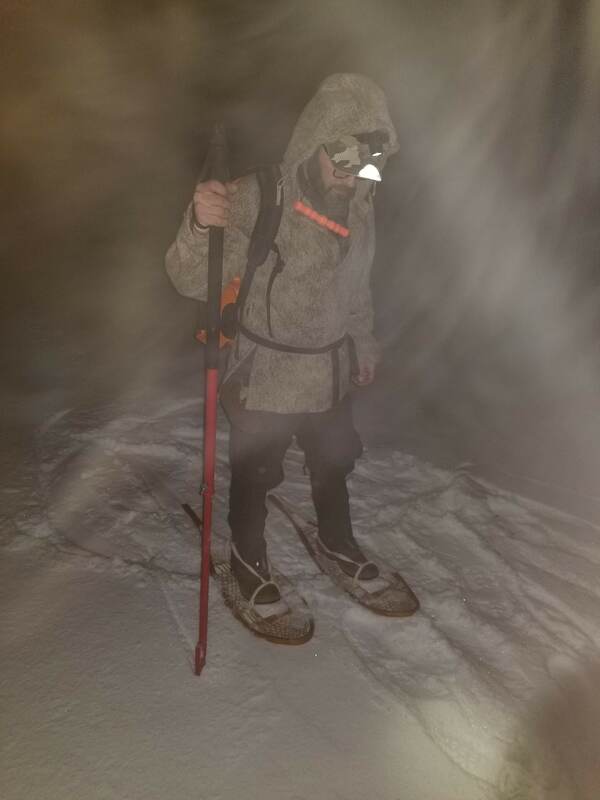 Not knowing the snow conditions, I packed my faber snowshoes and tied on some traditional lamp-wick bindings and brought my Kahtoola ice spikes. 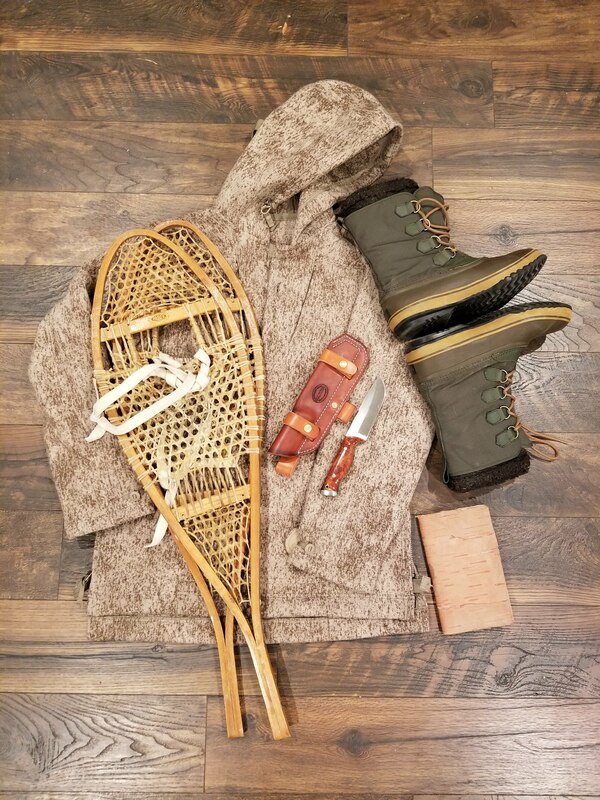 That combo had me covered for both snow and ice along with my Sorrel boots with removable liners that can be dried stove side at night. 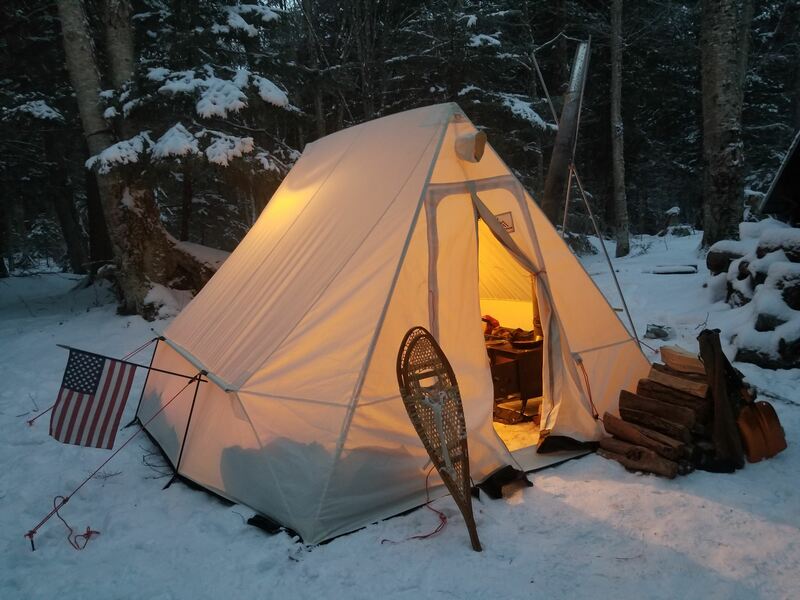 Having the right gear can make or break a winter trip. 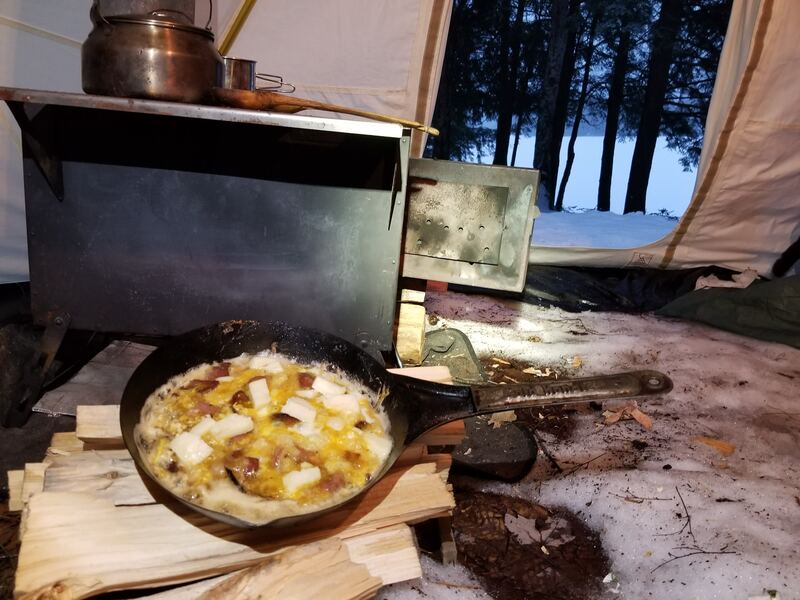 Beyond that winter camping isn’t hard but it sure is hard work. 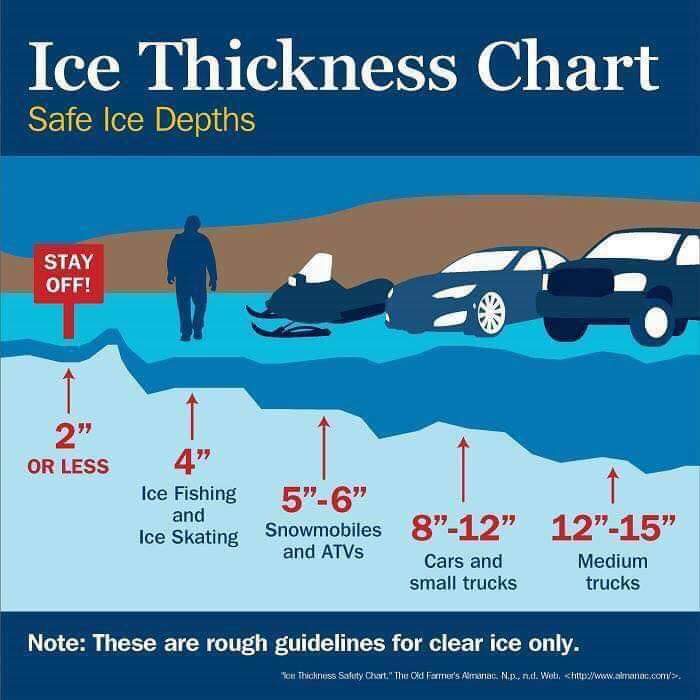 On the walk-in I checked ice safety with a spud bar and auger before traveling. 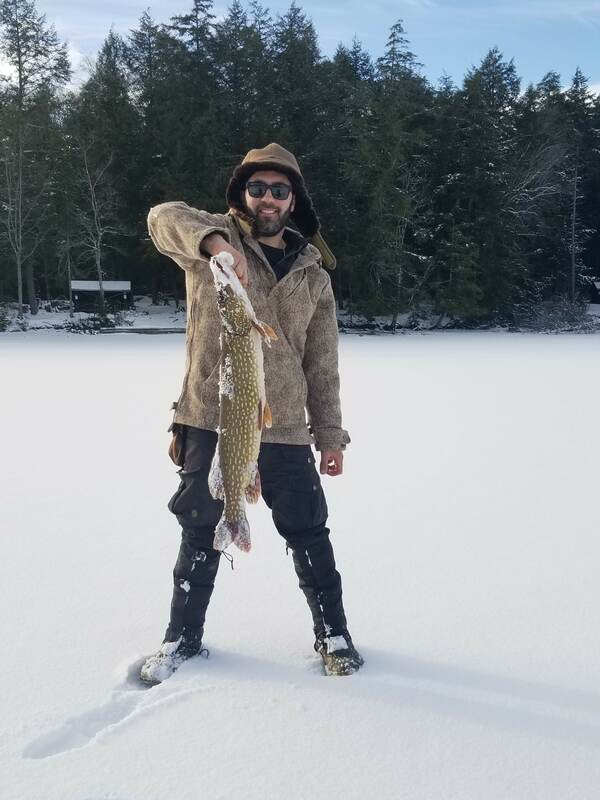 The ice was solid. 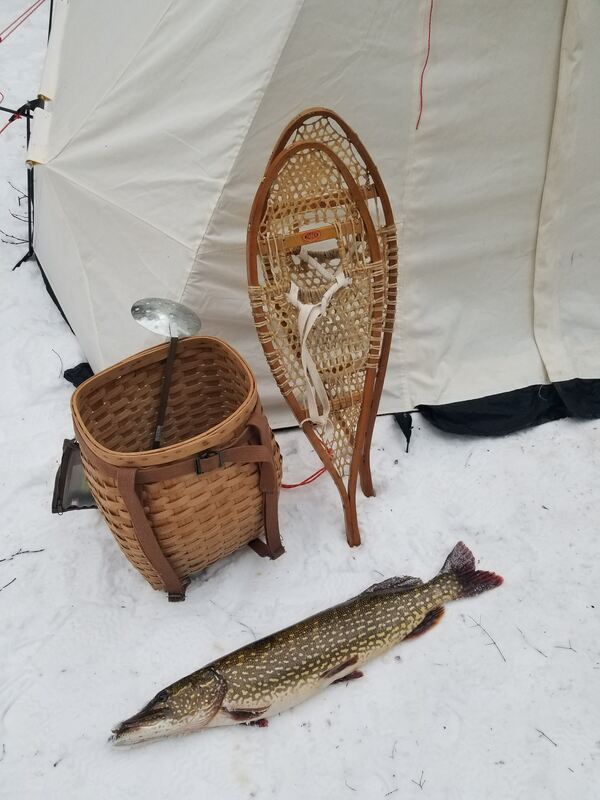 We setup camp in the dark and woke early for fishing. 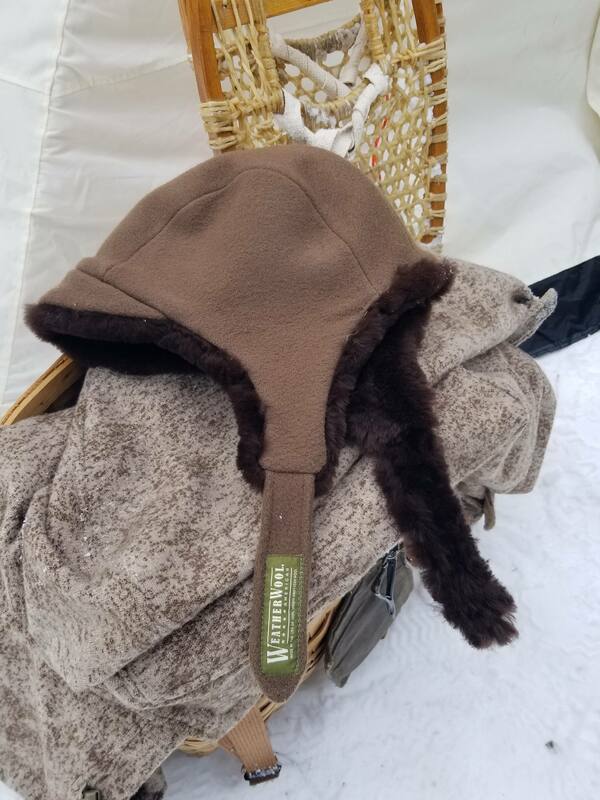 Warm and comfortable in WeatherWool! 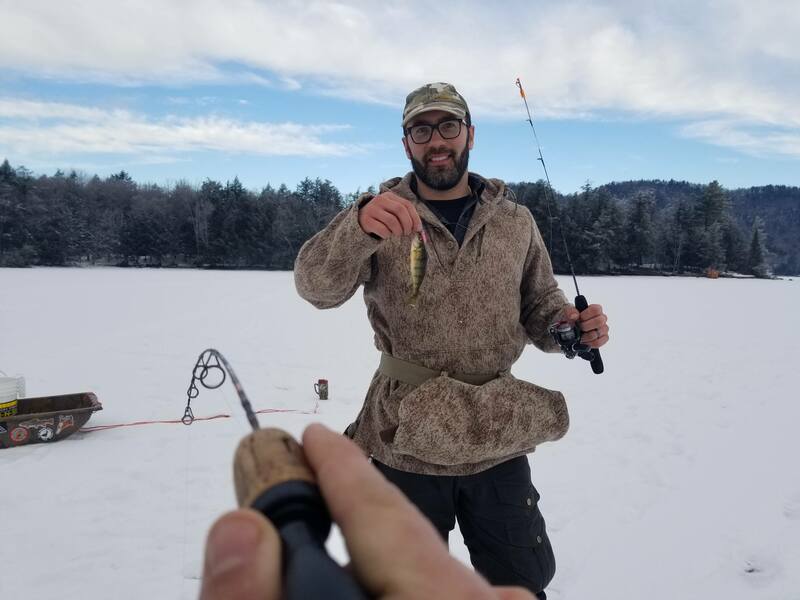 Mark with a toothy Northern Pike he expertly hand lined onto the ice after a long slow fight being careful not to let the 8# line cut. 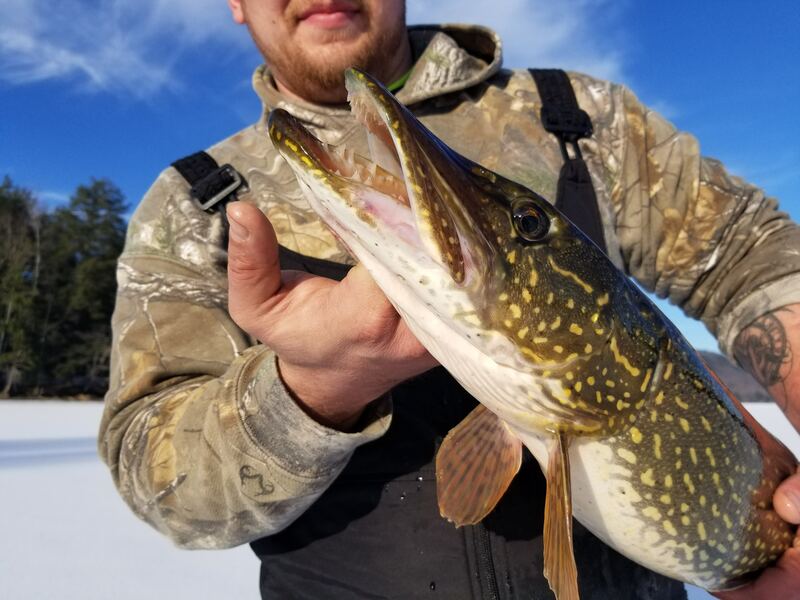 The Lakers gave us the fin but we caught a lot of small perch and smelt throughout the day. 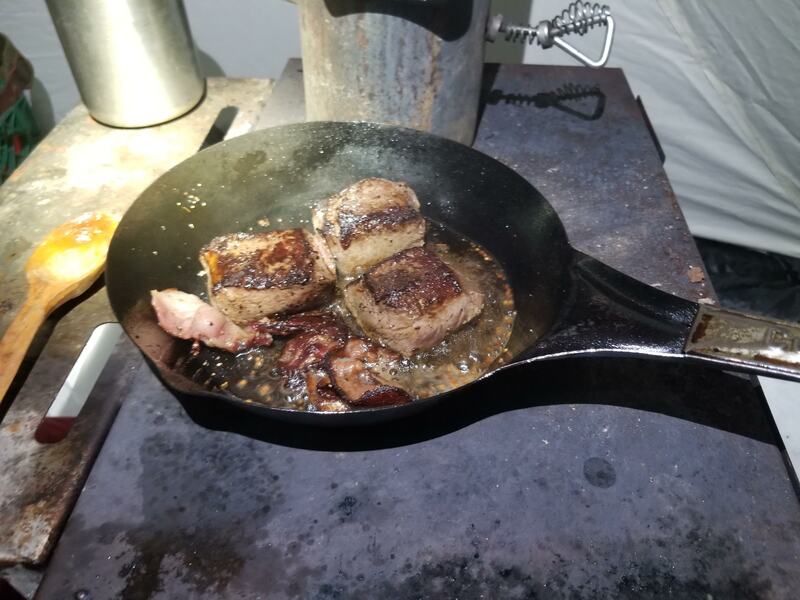 We dined on Venison Backstraps cooked on bacon in the Cold Handle Pan. 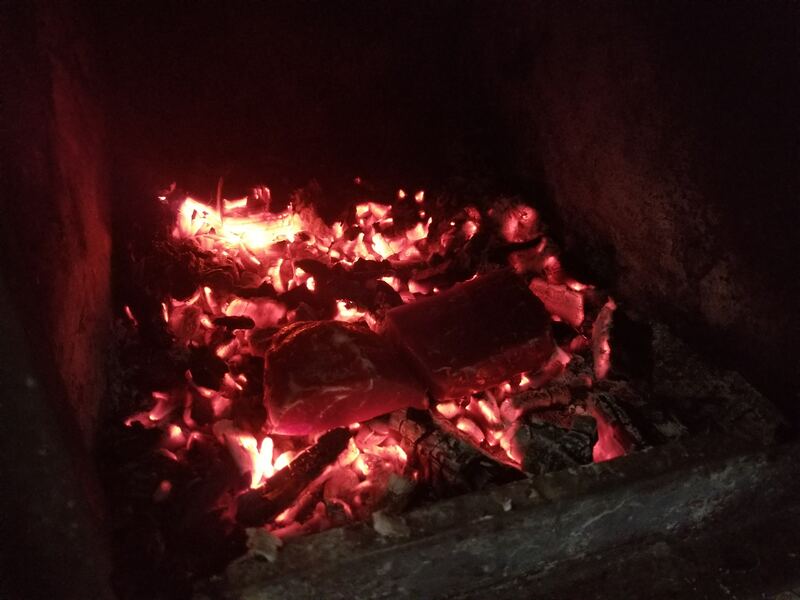 and more venison Backstraps coal cooked 4 minutes on each side. 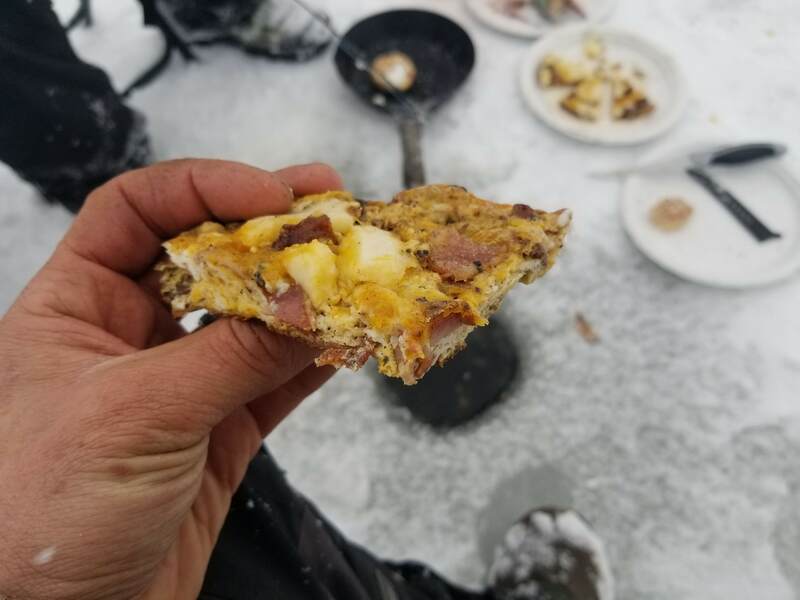 Breakfast was a Frittata made of Bacon, Venison Kielbasa, Polish Sausage, 6 eggs and Sharp Cheddar Cheese. 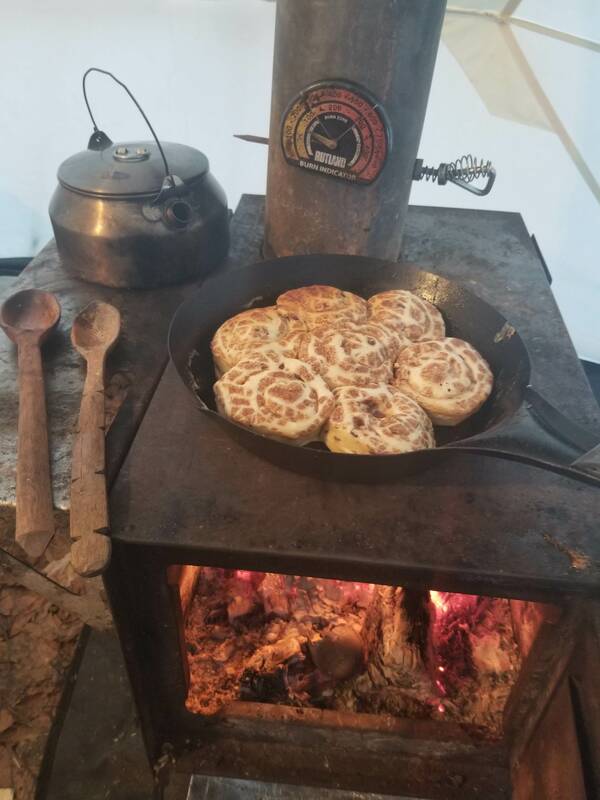 and some cinnabon snacks among other food items.